There are so many things to consider when planning a vacation, let us ease the stress with answers to your questions with our list of frequently asked questions by guests just like you. Don't see an answer to your specific questions? Please feel free to contact our office we are happy to help and can't wait to hear from you! You can either make a booking directly on this website by using the "Book Online" box to the left. Or you can call our office at 503.436.4500 and a receptionist will be glad to help you. We offer several pet-friendly homes. 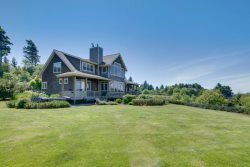 To see if the home you're interested in allows pets, you can click on the "Vacation Rentals" tab above and find the property listing, or you can call us at 503.436.4500 and talk to one of our receptionists. We can help you determine if the home you're interested in is pet-friendly, or help you find the perfect fit for you and your pet. Our vacation homes are stocked in such a way that you always feel like you are coming "home" to your vacation home, rather than returning to a small hotel room. Almost all of our homes have full kitchens and BBQ grills, and some homes offer game rooms or a hot tub. You will be able to enjoy a full-service home while you are on vacation rather than a small, cramped hotel room. Should I purchase travel insurance? What does travel insurance cover? Purchasing travel insurance is recommended. We offer travel insurance through a third party provider, RedSky. For more information on RedSky's Sun Trip Preserver policy, please click here. What is provided for guest use in each home? Do we need to bring linens/towels, toilet paper, etc? We provide sheets, pillows, blankets, towels, kitchen towels, tissue, toilet paper, paper towels, hand soap, dish soap, and laundry soap for guest use. Every home is equipped for our guests to simply walk in and make themselves at home. The only items you will need to bring is clothing and any personal toiletries (toothbrush/paste, shampoo). Will we need to clean the house before we leave? Beachcomber Vacation Homes is responsible for all cleaning. The only things we ask our guests to do before they leave is to take out the garbage/recycling and to please load and start the dishwasher. There is no need to wait and put the dishes away once they're clean. Please do not strip the beds or start any laundry before you leave.